In this theme we are learning about caring and planning for the baby, with a focus on teething. Growing new teeth happens with babies and also with children of their own age. Teething is a traumatic time for many babies and can affect mood changes and sleep patterns. A baby getting its first tooth is a 'milestone' a part of growing up. Mrs Elliott came and told us the story of 'Sasha and the Wiggly Tooth'. This story was about a little boy Sasha who lost his first tooth. Did you feel embarassed / Scared / worried or happy? The children drew a picture of how they felt when they lost their first tooth. Planning and caring that a mum needs to do for a visit or day out. We talked about what things Daniel's mum would caring in her nappy bag. 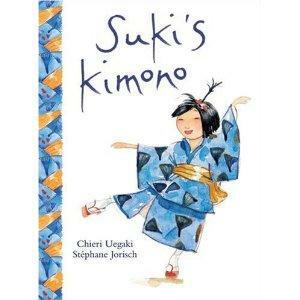 This story is about a little girl called Suki of Japanese heritage, who is made fun of because she looks different, when she wears her kimono. It was a gift from her obachan (grandmother). Suki felt very proud wearing her kimono.